Mrs. Nell Anderson Cox Rich, 91, a longtime resident of Slocomb and Dothan, died peacefully on November 11, 2018. Funeral services will be Tuesday, November 13, 2018 at Ward Wilson Funeral Home. Visitation in the parlor will begin at 1:00 PM with graveside services following at 2:00 PM in Memory Hill Cemetery. 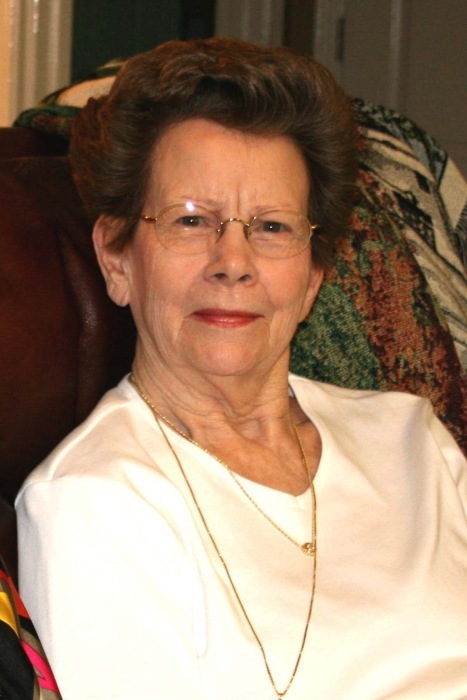 Nell was born on September 9, 1927 in Geneva County. She was the daughter of Willie D Anderson and Rossie Bachelor Anderson, and the youngest of four children. She lived her early years in the Union Baptist Church Community and graduated from Slocomb High School as Salutatorian in 1946. When Nell married Hughy Cox, they made their home in Slocomb where they owned and operated the Western Auto Store. She was a faithful member of the First Methodist Church in Slocomb. After Hughy’s death, Nell moved to Dothan where she worshipped at First United Methodist Church. She enjoyed participating in the Pathfinder’s Sunday School class and was committed to serving the Lord. During this time she met, and later married Howard Rich and they made their home in Dothan. Nell loved entertaining and was a wonderful cook. She was a very Southern genteel lady who loved her home and decorated it beautifully. Christmastime in her home was festive and friends and family were welcome. Nell will always be remembered as a devoted wife, and a generous aunt and friend. Nell is predeceased by her parents, her husbands, Hughy K. Cox and Howard D. Rich; her brothers, Paul Anderson and Millard O. Anderson; a sister, Edna Earle Crosby; a nephew, James Anderson; and a great-nephew, Aaron Anderson. She is survived by her nephew, Mike Crosby and special friend Starla Barlee of Enterprise, nephew, David Anderson (Barbara) and niece, Sharon Houston (Willie) of Dothan, niece, MarJean Cook (Butch) of Selma, and great-nephews, Bill DeLoney (Kara) and Cameron Deloney (Kendall) of Dothan. Pallbearers will be Mike Crosby, David Anderson, Butch Cook, Willie Houston, Bill and Cameron DeLoney, and Austin DeLoney.